Cider Mill Press, 9781604338355, 272pp. 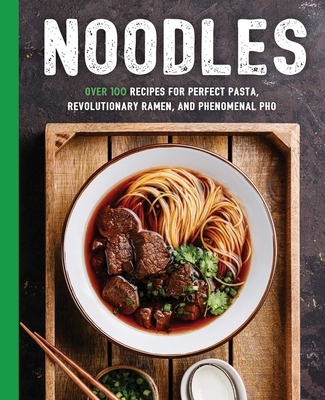 Featuring over 100 noodle and pasta recipes from around the world, Noodles is the go-to guide for everything from angle hair to udon. Whether you’re looking for the best Ramen recipe around or trying to make a creative dessert, Noodles has you covered. Like all the books in the “Art of Entertaining” series Noodles offers easy-to-follow recipes and colorful photographs that will help make you the hero of family meals and parties.